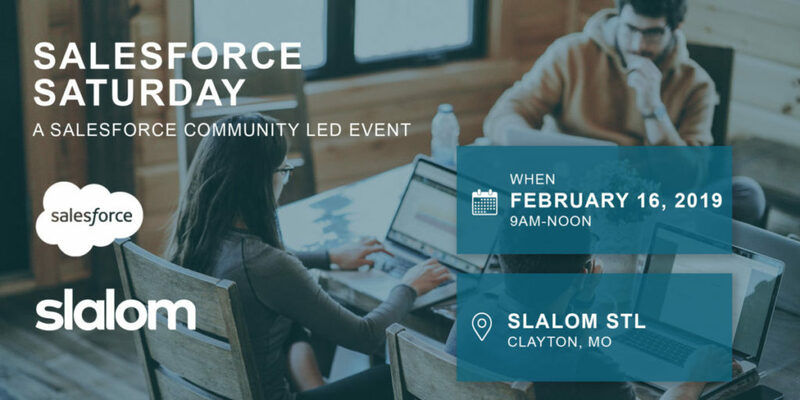 Join us at the Slalom office in Clayton, MO for Salesforce Saturday in St. Louis! What is Salesforce Saturday? A dedicated time to focus on Salesforce.com outside of work. Bring a problem and collaborate with others, learn with Trailhead or take a release exam. Salesforce Saturday’s are also a great time to connect with Salesforce professionals from different backgrounds and industries and collaborate on Salesforce certification study techniques. Whether you are an experienced Admin or Developer or just looking to start your Salesforce journey this is for you. Just bring your laptop, questions, and your desire to learn! The time is open to come and go as you please. Coffee, wifi and snacks will be provided by Slalom STL.